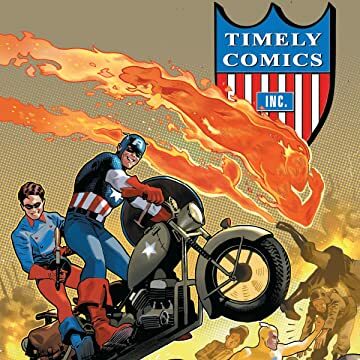 Collects All Select Comics #1, All Winners Comics #1, Usa Comics #1 Marvel Mystery Comics #1, Captain America Comics #1, Mystic Comics #1, Young Allies Comics #1, Miss America Comics #1, Sub-Mariner Comics #1, Human Torch Comics #1 And Daring Mystery Comics #1. Presenting 11 celebratory specials commemorating 70 years of Marvel! Watch a scrawny kid from Brooklyn named Steve Rogers show the world that you don't need a super-soldier serum to be a hero. And it's the year 1940, and thanks to policewoman Betty Dean, the young Namor the Sub-Mariner has momentarily halted his jihad against the surface world. 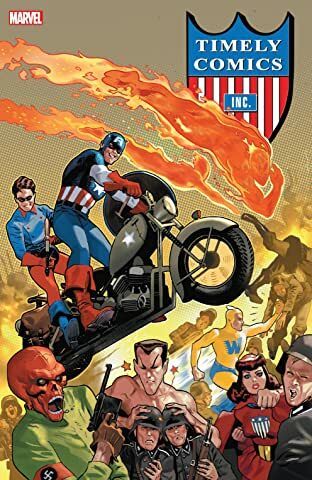 Find out if the Human Torch can learn to tap into the human side of the Torch, or must he sacrifice himself to save the people he has sworn to protect? All this plus much, much more! Collecting all the 70th anniversary specials!